Breast cancer is one of the leading threats to the health of women. However, breast cancer is treatable and one of the best ways to optimize care is by early detection. Regular self-exams help to familiarize women with their own normal breast tissue so that they can detect any changes early and seek medical attention. Whether you’re celebrating a friend’s remission or your own fortunate diagnosis, let PartyCheap help with your decorating needs. Our breast cancer awareness decorations feature the pink ribbon that is the iconic of the fight against breast cancer. 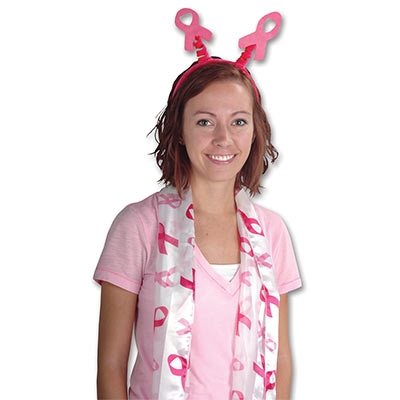 Our Pink Ribbon Scarf would be a great accessory to wear to a fundraiser or to give as a gift! Wear it during the whole month of October to show your support! For decorating support events, fundraisers, or celebrations of life, we have Pink Poly Decorating Material. It’s a durable material that can be used for draping ceilings, doorways, banisters, and walls. Proceeds from the sale of this item go to funding breast cancer research. 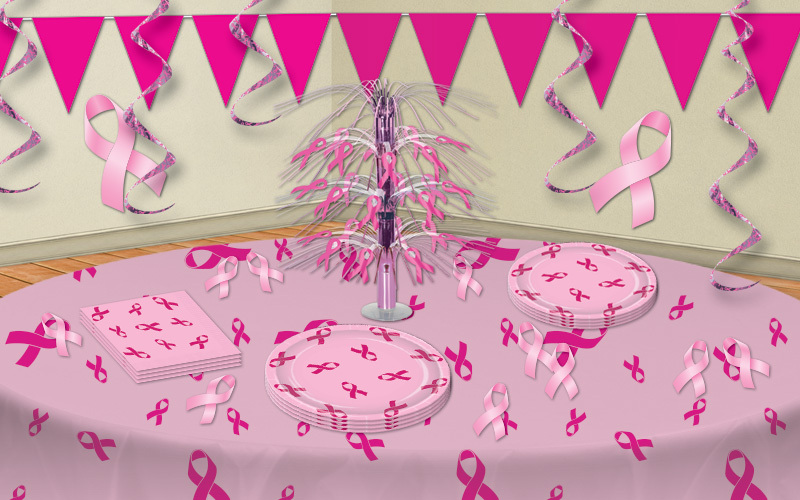 Pink Ribbon Cutouts and clings are a versatile decoration that can decorate tables, walls, and windows - all of which will show your valuable support. Welcome your guests to your event with the Pink Ribbon Sign Banner, featuring the phrase “Think Pink,” reminding women to be aware of the risk and to check themselves. PartyCheap’s Pink Ribbon Photo/Balloon Holder is great for displaying photos of all those we support in their fights against breast cancer, whether they have won or are continuing to fight. Let us help you bring light to all of your breast cancer awareness events with our inspiring decorations. We’re PartyCheap and we know how to party! a positive outlook can do wonders. 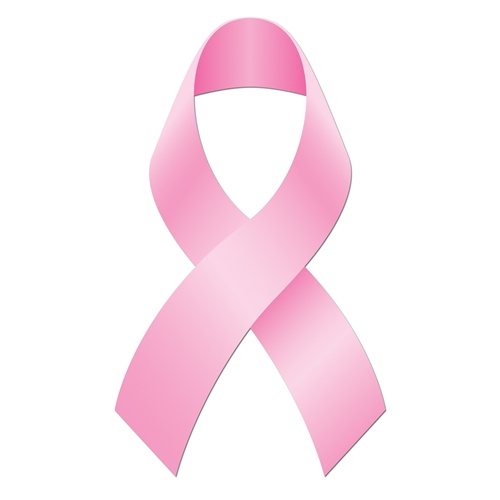 Show your support by wearing your pink ribbons and waving your banners. If you would like to make a donation, go to the National Breast Cancer Foundation or to the Susan G. Komen website. Were you or someone you know recently diagnosed with breast cancer? Do you have questions and need some support? Beyond the Shock is The National Breast Cancer Foundation’s online support and resource center. Here you also can find information about local in-person support groups.